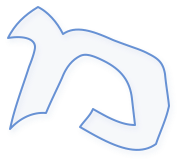 Mem מם is the 13th letter of the Hebrew Alephbet and if forms the “M” sound. It has two forms, the normal “open” Mem מ or the final or “closed” Mem, also known as the Sofit Mem, ם.
Mem Word Picture: The Mem in Paleo Hebrew is represented by water. It is connected with the idea of the womb as well (the waters of the womb). Because of this it represents the idea of something being pregnant, or something being birthed or brought forth to fruition. With it being connected with water, it is connected with the idea of cleansing or washing. 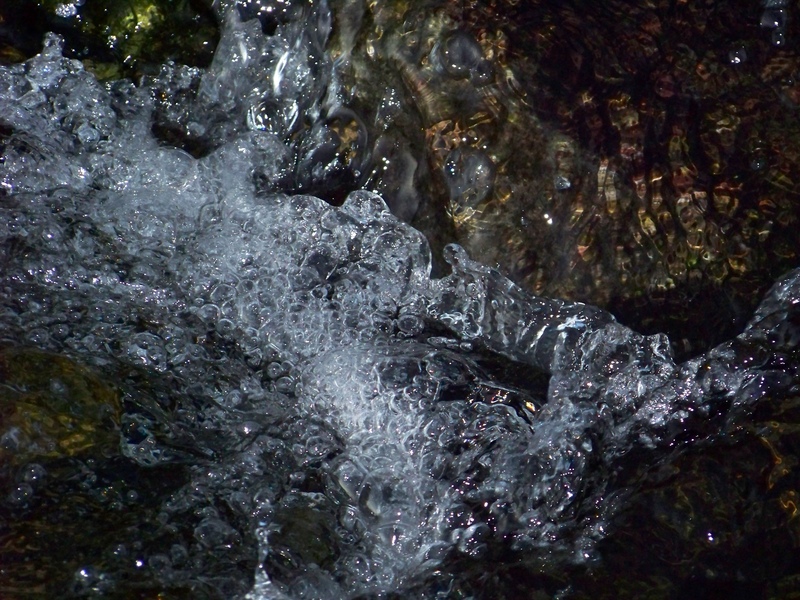 Yet on the other hand, water can also be chaotic and turbulent, so the Mem also can be connected with chaos. In the modern Chaldean flame letters this letter has the two forms, the open and the closed. The open Mem can represent a womb that’s been pierced/penetrated, it is open to seed. In some instances this is beneficial, we should be open to the Seed/Word of Yahweh, yet we should be closed to any other word! The closed Mem represents a closed womb, one that is still virtuous. On the one hand it can represent a virtuous bride, yet on the other it could represent us being closed or unwilling to accept the Word of Yawheh. All of these ideas carry both a blessed and a cursed aspect. The open Mem represents something revealed, and the closed Mem something hidden. There is an oversized Mem in Proverbs 1:1 – “The proverbs of Solomon the son of David, king of Israel;” The term “proverbs” is mishlei משלי and the Mem is larger than normal. The sages teach that it is representing that Solomon fasted for 40 days (Mem has a numerical value of 40) just as Mosheh did in preparation for receiving the Torah in order to receive this proverbs or words of wisdom and instruction! Increase is marbeh מַרְבֶּה but the מ is written as ם – this entire passage is one that prophecies of the Messiah – the one who would come to open and reveal that which had been closed before! *40 = 40 is the number associated with trials, testing, and probation, specifically the chastisement of sons or a covenant people. There are 40 days and nights of the flood waters on the earth in Noah’s day; 40 days of Mosheh communing with Yahweh upon Mt. Sinai to receive the Torah; Israel spends 40 years in the wilderness on the Exodus journey; Yahshua fasts for 40 days and spends 40 days in the wilderness fulfilling the pattern of the 40 days of fasting through the 6th month of Elul and the first 10 days of the 7th month of Tishri, leading up to Yom Kippur/Day of Atonement; 40 days from conception to the initial “formation” of the fetus; & 40 weeks of gestation until birth. *Remember Aleph, with a value of 1, represented the husband, this leads us into the Bet (2), the wife that is joined to the husband to form the house, from this divine union we see the Gimmel (3), representing the firstborn son, the Messiah. We learn of the role of this firstborn in the Dalet (4), He will be the door, and the Hey (5), causes us to behold him – connecting how He, the Gimmel/Messiah would be the Dalet/Door by walking among us in the flesh allowing us to behold (Hey) Him as the restored Vav (6) Man! He would be nailed (Vav) upon the tree in order to be the connector (Vav) for fallen man. It would only be through the Vav man’s sacrifice that He would be able to take back the authority and reign as the crowned King (Zayin), and once again offer the covenant (Zayin) to all of us who had strayed. His example would teach us how to walk a circumcised life wielding the sword of the Torah (Zayin)! By wielding this sword, we enter into a new beginning (Chet) and find ourselves inside the place of protection with the boundary lines intact once more (Chet) and can now stand under the chuppah with our Bridegroom (Chet)! From this place of new beginning, that we should be bearing the fruit of the spirit (Tet) in our lives because we’ve become encircled by His Covenant (Tet). It is from this position of Covenant that we now as well can operate in the authority promised to the one sitting at the right hand (Yod) and take possession of all the Covenant Promises (Kaf). In order to have possession of these Covenant promises (Kaf) it requires us to sit at the feet of the Teacher (Lamed) and allow the Torah to prod and incite us (Lamed) along the straight and narrow path. It from the instruction of the Teacher (Lamed) that the hidden truths (Closed Mem) begin to open to us (Open Mem) and we’re able to grow in the midst of the different trials and tests (Mem) that Yahweh allows us to endure for our own maturing process.